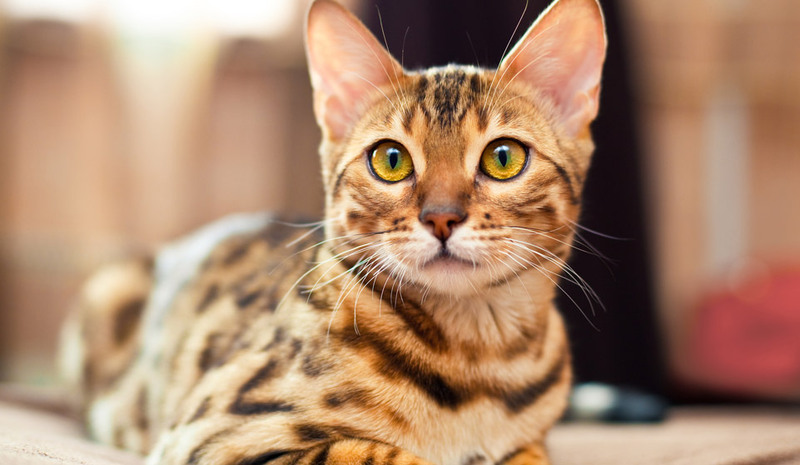 This medium to large sized, short haired cat has a wild appearance with its distinctive spotted or marbled coat. The different coat patterns are either leopard spotted or marbled, on a background colour of brown, or sometimes white. These sweet cats are bred to resemble their wild ancestors, yet have a loving, friendly temperament similar to any other domestic cat. They are happiest in an environment where they get lots of attention and somewhere that caters for their high energy levels and athletic, playful nature. Feline Leukaemia – This virus is a hazard to all cats, however Bengal cats are especially prone to it. Early signs include weakness, fatigue and weight loss. As the condition worsens, cats develop fevers, tumours and seizures. Once the disease has entered the later stage, it is nearly always fatal.